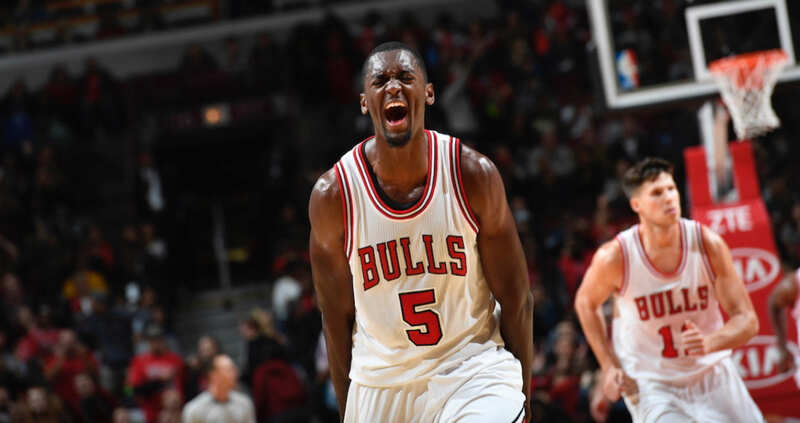 Full-Court Bulls: Is Bobby Portis part of the future? Bobby Portis has had a a whirlwind season to say the least. Before he even saw game action, he was suspended for punching then teammate Nikola Mirotic and breaking a few bones in his face and giving him a concussion. He was promptly suspended by the team, and when he got back on the court, he came back in force. Now, he is having the best season of his young career and it is leading to talks of a contracts extension. Portis is set to be a restricted free agent come seasons end, and at the rate mid to low tier players signed major deals the past few off-seasons, Portis could be swept up quickly if the Bulls do not come up with a stellar offer. He served his eight game suspension, and is now having a breakout season with 13.5 PPG and 6.5 RPG, providing that spark off the bench. There are a few aspects to look at when talking about how much the Bulls could offer Portis. The biggest, aside from his play, is the Salary Cap and how the expected increase will play a factor in contract offers. With young players like Dunn and Markkanen under contract for the new few seasons, the Front Office will have some flexibility with Protis. A good example to help understand what Portis could get is a former Bull Tony Snell. He put up similar numbers in his first few years before he was traded to the Bucks. His numbers are slightly lower, but he still go a solid deal after his breakout season. Snell cashed in on a 4-Year, $46 Million Dollar deal. He is making $10.6 Million this year to average 7.3 PPG and 2.1 RPG in just under 29 minutes of action per night. What this means for the Bulls are they are looking at having to deal out somewhere in the $50-$60 Million range for Portis on a 4-year deal this coming offseason. For a team that lacks talent at the big-man position after Lopez, they are going to have to try and sweeten the deal any way they can. I look for Portis to get a 4-Year $52 Million Dollar deal, with the fourth year being a team or player option. Nothing is yet set in stone, and a lot can change how both sides feel. Draft plan’s, teams direction, or even Portis could have a change of heart come time to talk about a deal. The Bulls are not currently a destination team for high profile players, but with their young core and keeping a solid bench player like Portis, the Bulls could build a roster that makes Chicago a destination once again.